Marinate chicken in refrigerator for three to four hours. Don’t rinse off marinade. 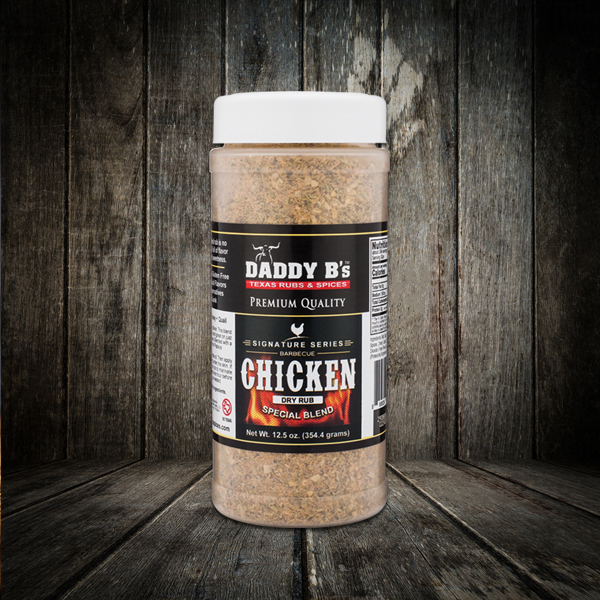 Sprinkle chicken with Daddy B’s Chicken Rub. Try to get some under the skin too. 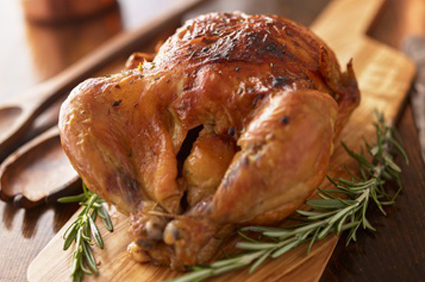 After hour and a half, turn chicken over and spray both sides with apple juice to give it a nice brown color. Prepare glaze. At the two hour mark, cut the chicken in two (optional). And apply glaze to both sides and place back on smoker skin side up. TEXAS MADE. TEXAS PROUD. FROM OUR FAMILY TO YOURS.